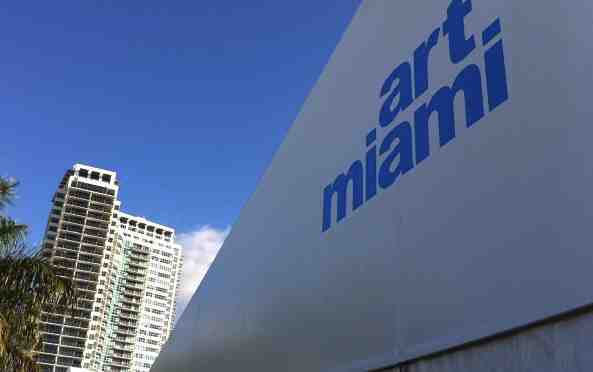 In April, Leslie Smith Gallery has been putting together a new exhibition titled: A Homage to the Royal Family. This exhibition in honour of the abdication of Queen Beatrix and the inauguration of the new King Willem-Alexander opened on the 27th of April. 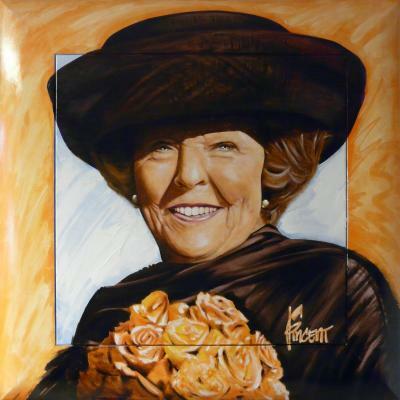 On show are portraits of Queen Beatrix, Máxima and Willem Alexander as well as many other pieces with an orange streak. Contemporary artists like Miguel Segall, Fincent and Maayke Schuitema all contributed by making paintings exclusively for the exhibition. To add even more orange flair to the event, Lodewijk Hoekstra, well known for hosting the Dutch TV show ‘Eigen Huis & Tuin’ spiced up the LSG front garden with orange flowers and plants. The large turnout not only benefited LSG, as the gallery donated one brick for every guest attending the opening to the Kika foundation. This donation will be used for the construction of the Princess Máxima Centre. During the festive opening everyone enjoyed the show while sipping a glass of Oranje Bitter, a perfect way to celebrate this festive occasion!